Going green isn’t just good for the planet – your business’s turnover may also benefit. Whether they’re motivated by genuine concern for the environment or a financial incentive, more organisations than ever are moving towards green technology. Making the transition to more environmentally friendly processes might involve some expenses at first. However, the money you’re likely to save in the long run will often make any initial costs worthwhile. Trying to micromanage every aspect of your business can be exhausting and expensive. By outsourcing a service or two, you’ll have more energy to ensure continual productivity, rather than getting distracted by smaller tasks. For instance, if your business provides clients with printed materials, save time and money by using a professional printing company like The Print Group. Apart from freeing up valuable resources, working with a printing service will allow you to offer clients a more professional looking product. These days, you don’t need a huge marketing budget to get the word out about your business. If you can’t afford traditional forms of advertising such as print or TV ads, there are plenty of cheaper options out there. Rather than paying tons of cash for publicity, you can create a corporate Facebook page, hand out flyers, or sponsor local sports teams. By making the most of low-cost marketing opportunities, your business’s reputation will gradually grow. You can find a lot of market tips here. Unless you need brand new equipment for safety reasons, buying second-hand is one of the easiest ways to cut down on business-related costs. Whether you find what you need in second-hand stores, newspaper classifieds or on eBay, used office furniture and computers often cost half of what they would if they were brand new. These are just some of the ways you can save your business money. 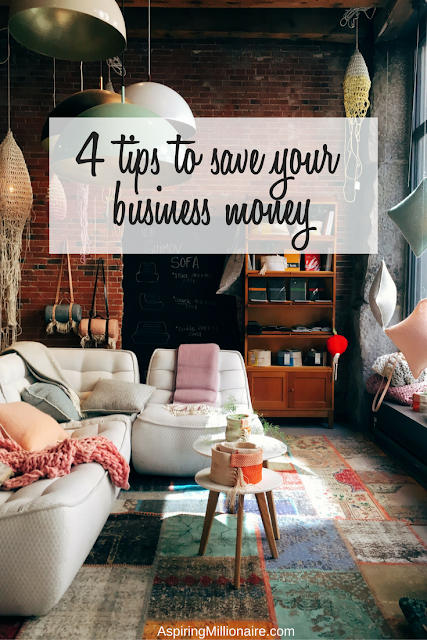 By giving these tips a try and identifying as many opportunities as you can to reduce costs, you’ll be amazed at how much money you save.